Structural therapies work within the framework of the body to help ensure that freedom of movement is kept or regained, and that a person has the optimum mobility levels and quality of life. All structural therapies aim to improve the way that the body moves, so that movement becomes easier, posture is improved, and pain is minimised or eradicated altogether. The actual structure or framework of the body is being worked upon. As well as working on the body, structural therapies also work on the mind, as they understand that the body and the mind work together. Undergoing treatment with a structural therapy is beneficial as movement, balance and coordination are all improved. In fact, the key benefit of a structural therapy is the regaining of the freedom of movement. Movement may have been previously restricted due to stress, tension in the body, injuries, illnesses, or incorrect body posture or movement. Structural therapies aim to track down the source of restriction or pain and eliminate it. The Alexander Technique is a way of re-educating the mind and body in order to improve movement, balance, and coordination. This technique is taught by observing one’s own mannerisms in motion, by training the body’s sense of location and effort. It can be practiced during any activity and can also be used to stop stuttering, improve ergonomics and to obtain full recovery. Freedom of movement will always improve thorough practice but structural posture may or may not improve. Applied kinesiology is able to determine imbalances in the body’s organs and glands by identifying weakness in certain muscles. Stimulating or relaxing these muscles allows the practitioner to diagnose and resolve a wide range of health problems. Some of the aims of applied kinesiology include restoring posture and range of motion, restoring normal nerve function, and achieving normal organ functions. Unlike kinesiology in general, the focus is on muscle testing done in the treatment session. Chiropractic is based on the understanding that good health can only be achieved if the nervous system is functioning correctly, especially the spine and the nerves that extend from the spine to all parts of the body. The chiropractor will examine the spine to determine any injuries, accidents or tension that may be irritating the nerve roots. By reducing or eliminating the irritation, the body will operate more efficiently and more comfortably. Manipulations or adjustments are performed gently on a special table and the length of the treatment will vary depending on the severity of the problem. Osteopathy aims to treat the whole body, and not just the symptoms that a person presents with. It teaches the appreciation of the body’s ability to heal itself. Techniques used in osteopathy include massage, articulation, functional techniques, visceral techniques, manipulation, and muscle energy techniques. An osteopathic treatment is tailored to the individual patient and the appropriate techniques are selected for use. Feldenkrais is a method that is recognised for its ability to improve posture, flexibility, coordination, self-image, and relieving muscular tension and pain. It is based on the principles of physics, biomechanics, and a complete understanding of human development. Feldenkrais uses gentle movement and directed attention to both improve movement and enhance the functioning of the body. Anyone can use the Feldenkrais method and it can be done in private lessons or as part of a group class. Hellerwork helps you to realign your body and release tension. The three basic principles in Hellerwork are deep tissue bodywork, movement education, and dialogue. Combining these three elements results in a treatment that is capable of realigning and reconditioning the body as well as bringing awareness to and changing the patterns that caused the problems in the first place. Another aim of Hellerwork is to help the client to understand that there is a relationship between the emotional and the physical – that lasting physical changes cannot be made unless emotional changes are made first. Hellerwork is traditionally performed in a series of eleven sessions. Physiotherapy is concerned with improving a person’s mobility and therefore their quality of life. Physiotherapy is widely available and the practitioner’s goal is to find the underlying cause of pain, whether the pain is joint pain, muscular pain or nerve pain. Some techniques that physiotherapists use include joint mobilisation and manipulation, soft tissue massage, electrophysical agents, and breathing exercises. Physiotherapy can be used for a huge range of conditions, from sports injuries right through to recovering from major accidents or surgery. Sports injury therapy is a therapy that is used to treat muscle, joint, ligament or tendon injuries. It uses things such as stretching, strengthening, and mobilising the affected area during the treatment process. Sports injury therapy is not only for sportspeople or athletes – it can be used by anyone that suffers trauma or injury in their lives. Podiatry diagnoses and treats problems that occur in the foot and lower leg, such as corns, arthritis, weak ankles, and mobility problems, just to name a few. The goal of podiatry is to ensure that a person is able to retain their mobility and independence. As well as treating the problems themselves, podiatrists also implement things such as risk prevention strategies, prophylactic treatments and therapeutic care plans. 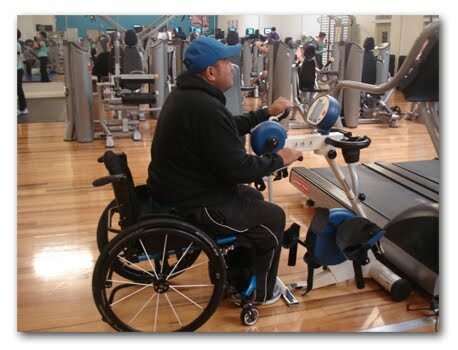 Rope Neuro Rehabilitation is a neurological-speciality provider of physiotherapy, covering the Auckland region. They provide physiotherapy assistance for a range of neurological disorders including Stroke, Multiple Sclerosis, Parkinsons, Vestibular rehabilitation, Head injuries and Spinal and neurosurgical rehabilitation. They focus on functional client-centred treatment goals, tone management, treatment and advice, seating assessment and advice, positioning and manual handling recommendations and vocational assessments. In addition to their in-home services, Rope now offers outpatient services for those who can access the community and who may find therapy in a clinic more motivating/stimulating or as a progression of their current therapy intervention. Dizziness is one of the most common complaints for which people seek medical attention. Causes may be vertigo (BPPV), mild traumatic brain injury or post-concussion syndrome, inner ear disorders such as Labyrinthitis, neurological conditions such as Spinocerebellar Ataxia or Parkinson's Disease or other balance system disorders. Dizziness also can have a high correlation imbalance and falls. Rope Neuro Rehabilitation therapists are all experienced in vestibular rehabilitation a specific branch of Physiotherapy designed to assess and treat these disorders. Aquatic physiotherapy is not a new treatment option but there is substantial evidence to support its therapeutic benefits for a variety of conditions. Activities learnt in the pool can cross over into functional activities on land to benefit walking, transferring and other functional activities. Additional benefits include: reducing high tone or stiffness, improving balance, relaxation and exercise, especially if you have orthopaedic problems or pain. Nordic walking is proving to be a fun effective rehabilitation activity. Nordic walking can be beneficial to a wide range of people including those with neurological conditions and the elderly. Nordic walking is an intensification of normal walking with the use of specialised poles. Rope Neuro Rehabilitation has Certified Nordic Walking instructors. Rope Neuro Rehabilitation is able to offer one-on-one Tai Chi lessons and has qualified Tai Chi instructors. Our Tai Chi is based on ACC's Modified Tai Chi program which has proven to be very successful in falls prevention. Pilates, Yoga and Qi-Gong have a lot in common. All work the body and the mind, all deal with breath and spirit. Results of practicing this method of combined techniques are: coordination, balance, suppleness and increased energy levels. Regular practice can bring inner calm and physical well-being. The fundamental principles of all three are: awareness, self-watching, being “the passive observer”, Developing our consciousness, centeredness, and concentration. Combined with relaxation, this concentration is directed towards our inner teacher, which speaks to us through our body and our breath. Edna Levy was born in Israel. Started her formal Ballet training at the age of 4. At the age of 14, while continuing classical ballet training, Edna moved on to explore modern, contemporary and post-modern dance forms with the Rina Schenfeld dance school in Tel-Aviv. At the age of 16 Edna joined the Rina Schenfeld dance company and at 20 completed a diploma in dance, choreography, and dance pedagogy. As well as choreographing and performing Edna continuously delved into various forms of bodywork to support her long hours of physical training. Among those were yoga, Feldenkreize, Alexander technique and tai-chi. In the early 90s Edna and her husband Yaron moved to Sydney, Australia where Edna was teaching, creating, rehearsing and performing full time with a Sydney based modern dance company. During the following 2 years Edna discovered the Pilates technique, then known mainly to dancers. Understanding the importance of activating the core muscles to prevent injuries, Edna started incorporating the Pilates principals in her classes. In 1994 Edna and Yaron sailed to Auckland, New-Zealand on board their yacht, “Temeraire”. The following 4 years were divided between sailing expeditions to the south pacific islands and continuing to develop the unique mind and body awareness and conditioning method, now known as Bodylight. In 1998, upon receiving NZ Residency and settling back on land, Edna was teaching in various studios and institutions around Auckland including Unitec performing arts school and The YMCA gyms. In 2000 Edna opened her Bodylight Studio. Through her experience of pregnancy and child birth, Edna has developed pre and post-natal mind-body work: breath awareness, visualization, meditation and physical workout for a healthy pregnancy, manageable and enjoyable natural birth, and rehabilitation post- natal. Over the years Edna has developed unique mind-body awareness and conditioning method, which she teaches to a large and diverse clientèle. From professional dancers and athletes to people of all ages and walks of life. While many gyms and studio advertise classes in any of those disciplines separately, Edna is taking the best and the similarities of those techniques into a fusion that is educating, therapeutic, dynamic and interesting. While yoga trains the muscles to tone and lengthen, the breath to expand and the mind to quiet, Pilates establishes a relationship of mind with body for centering and core-control and teaches us new pathways to correct “bad” habits. Qi-gong is like an undercurrent of chi- life force energy, which flows seamlessly within us, and with conscious effort can enhance our lives on all levels.